NoNonsense returned to Paris with Broadwick Live for Fashion Week. The venue was the incredible Grand Palais. There were a number of challenges – including not being allowed to use a forklift on site so the 2 artics were unloaded with a hiab and either moved into the venue with a pallet truck to the lift which had considerable size and weight restrictions or carried up an exquisite marble staircase to the second floor. 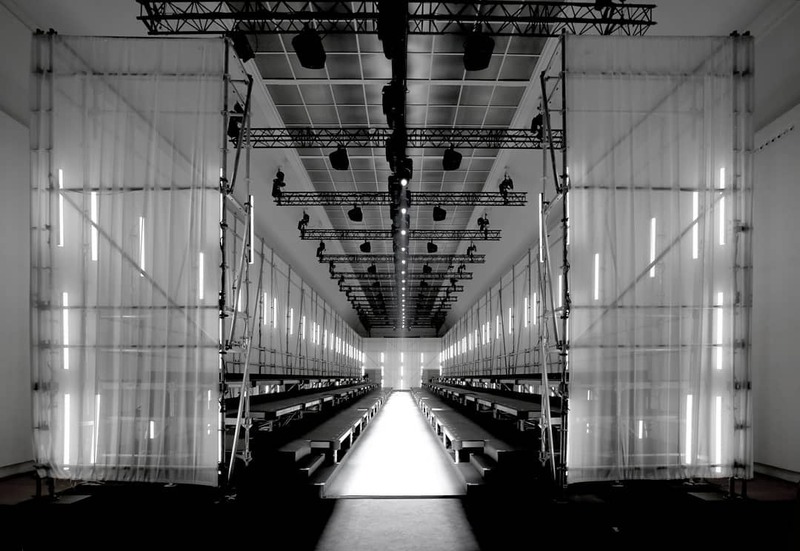 Floor protection was laid down before the 3,000+ elements could be built to create a stunning catwalk and viewing environment fit for a show by the world renowned designer Yohji Yamamoto.